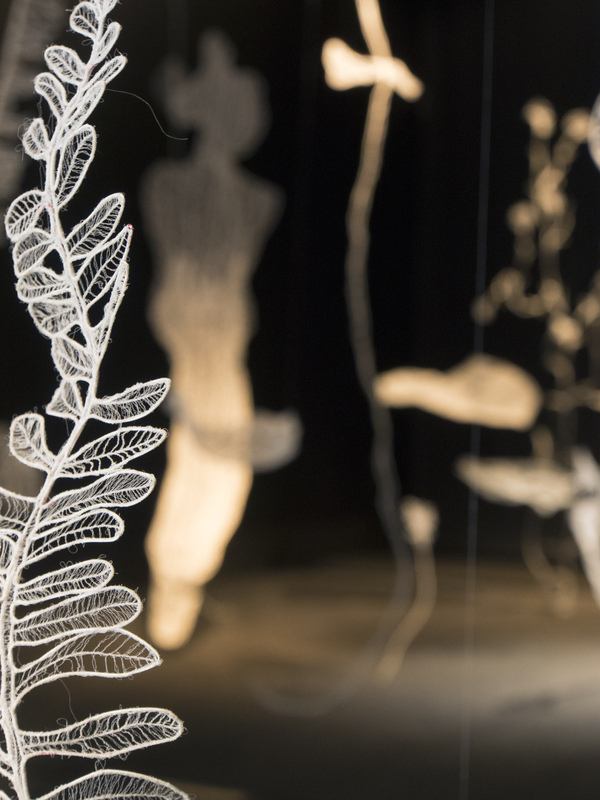 In A Blueprint of Before and After- the viewer is invited to walk through Sumakshi Singh’s enigmatic “gardens” of memory and light. 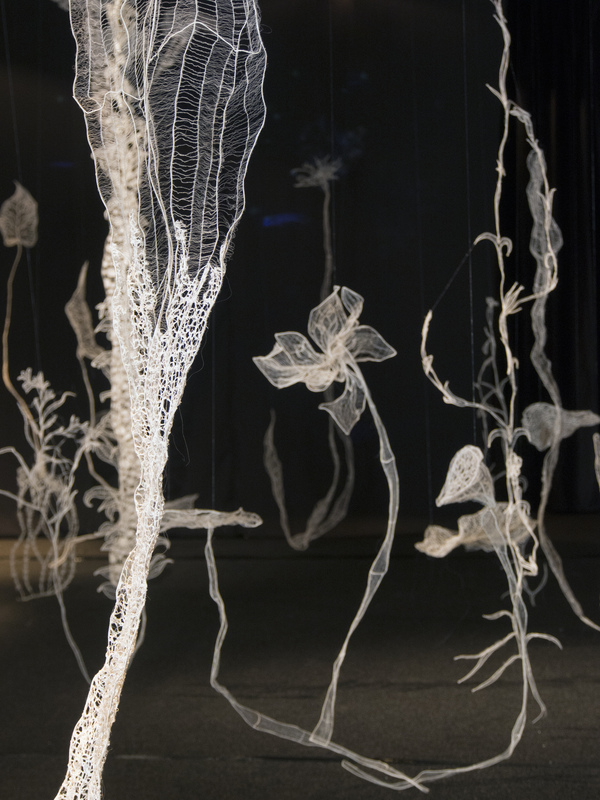 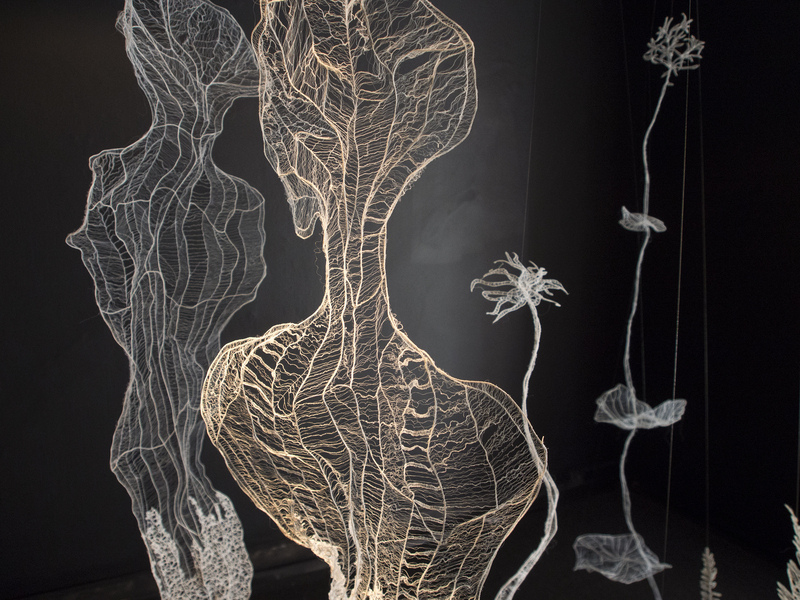 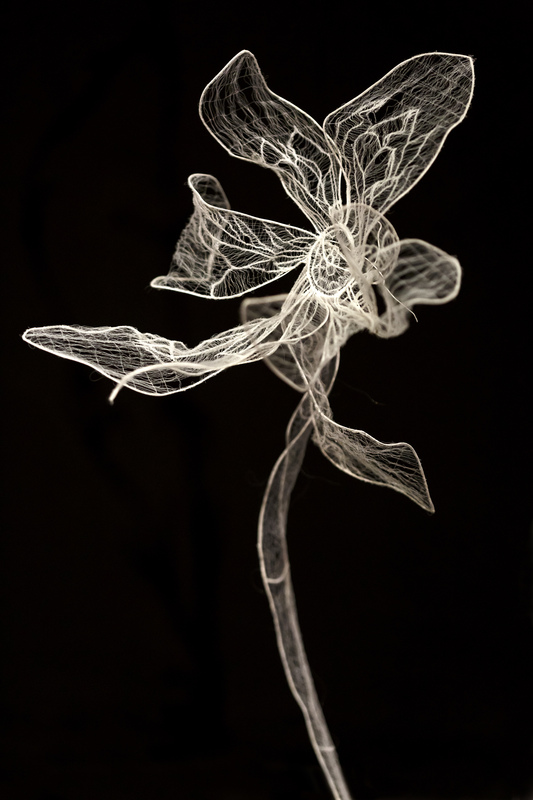 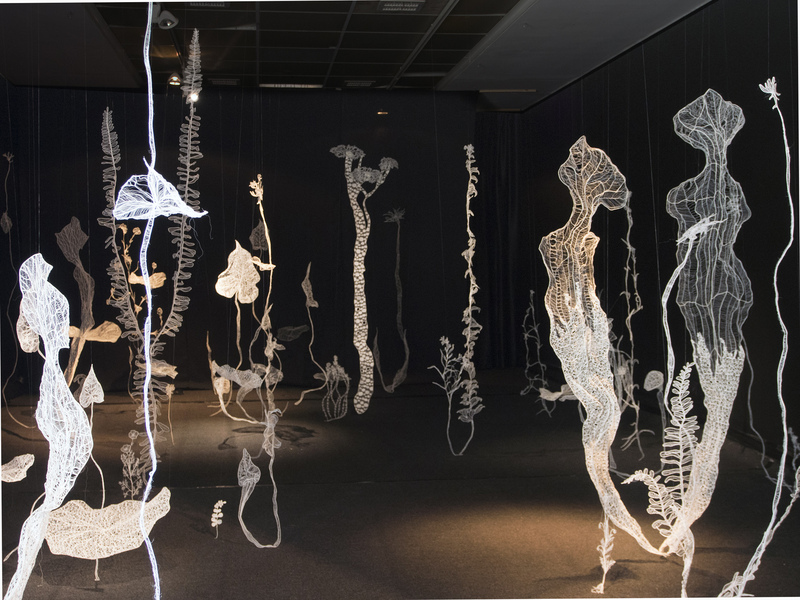 Here he/ she first encounters a ghost-like memory of the garden, walking through floating, white, skeletal forms, made of thread and lace using traditional embroidery techniques. 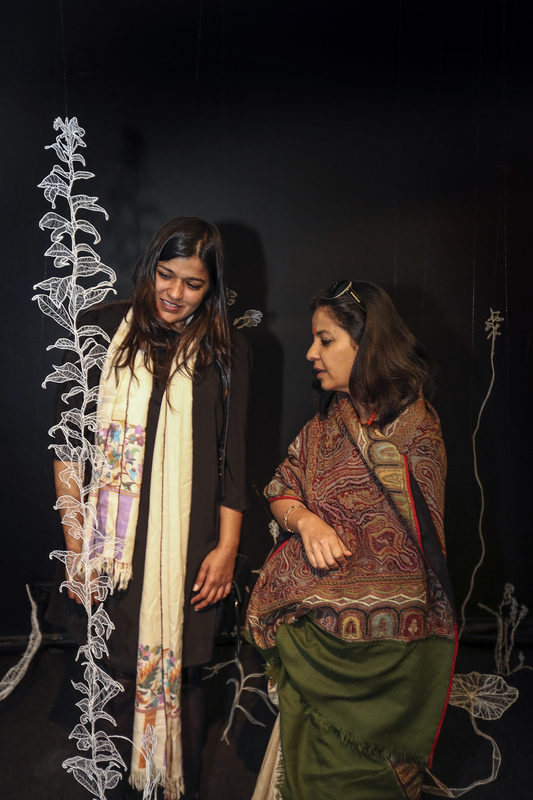 However, while in the embroidering act the image is literally tied down to its ground (fabric), here Singh removes the base, leaving the image itself levitating and permeated with space like an embroidery on air. 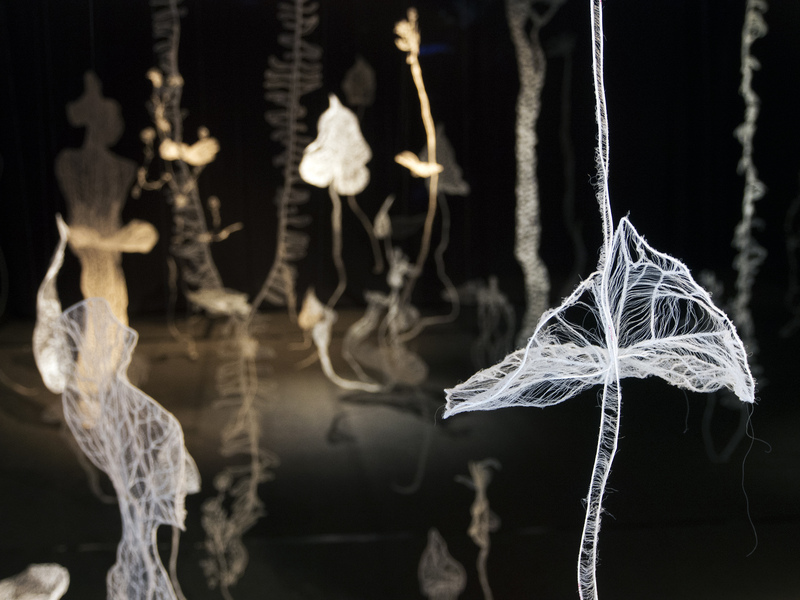 These baseless thread sketches are reduced to their flat, white essence creating the blueprint of a Garden – in the process of becoming or perhaps recorded as the aftermath of a garden that once existed. 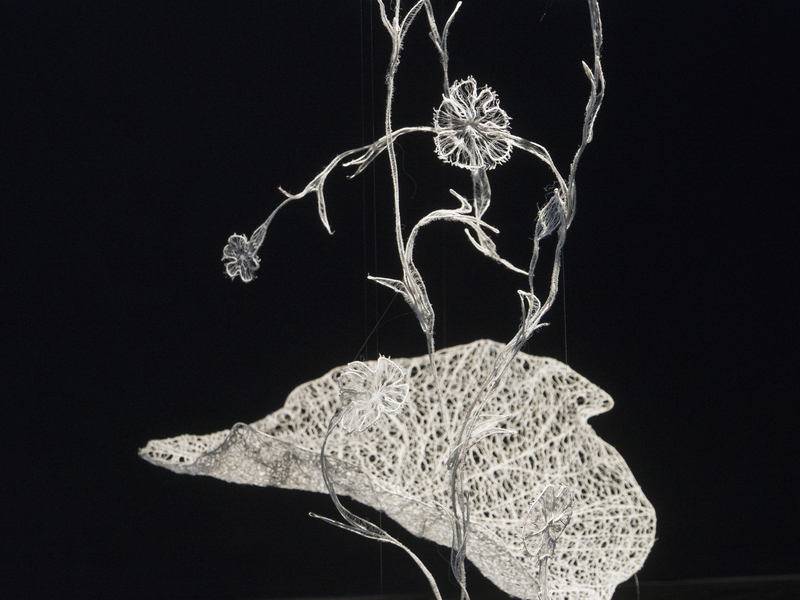 In Singh’s works, material is absent and yet always present. 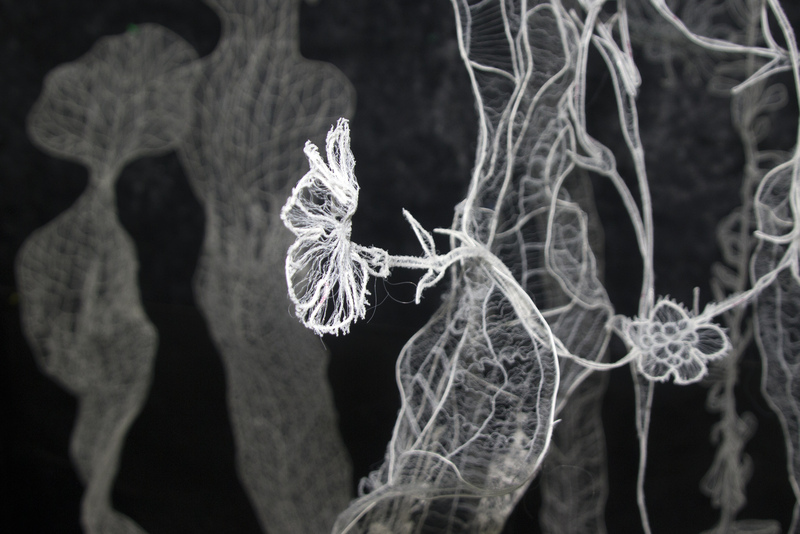 The sketch itself – whether using thread or animation – is located at the center of the space as a tender structural foundation, as a deceptive memory of traditions and life. 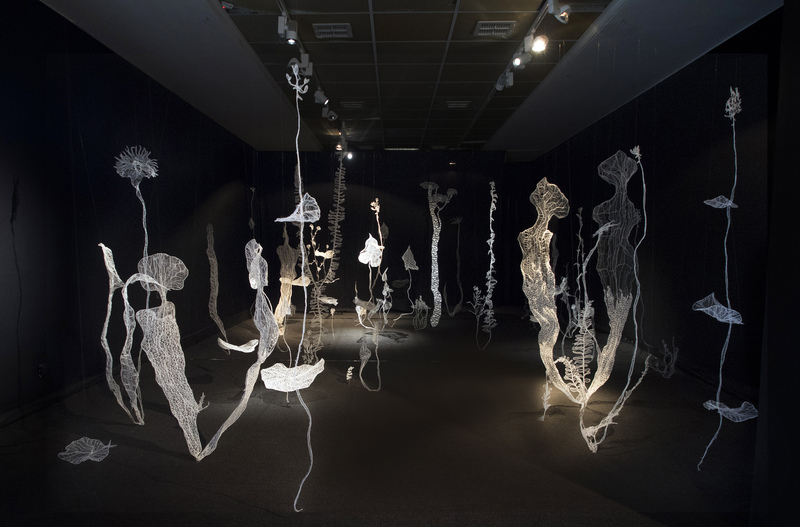 The viewers become integral to the work with their bodies used as imaginary platforms for the screenings and the embroidery in reflection and in space. 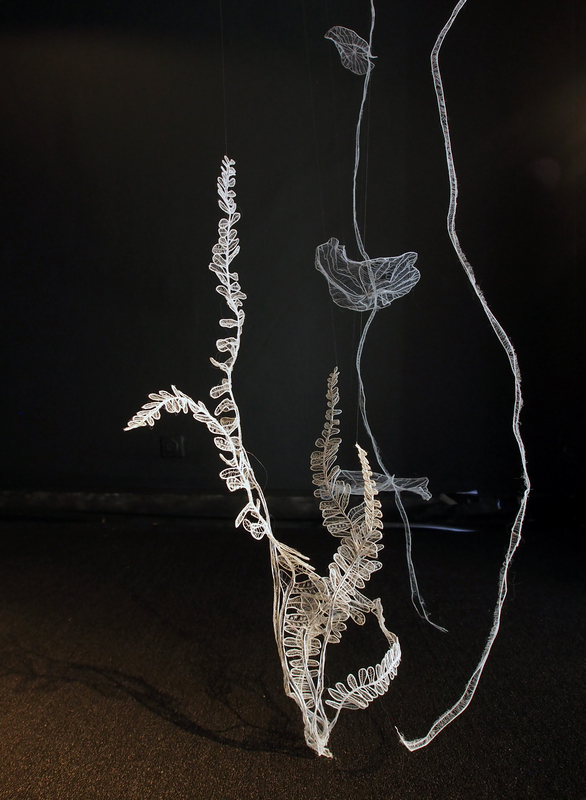 The installation’s plants lose their internal properties. 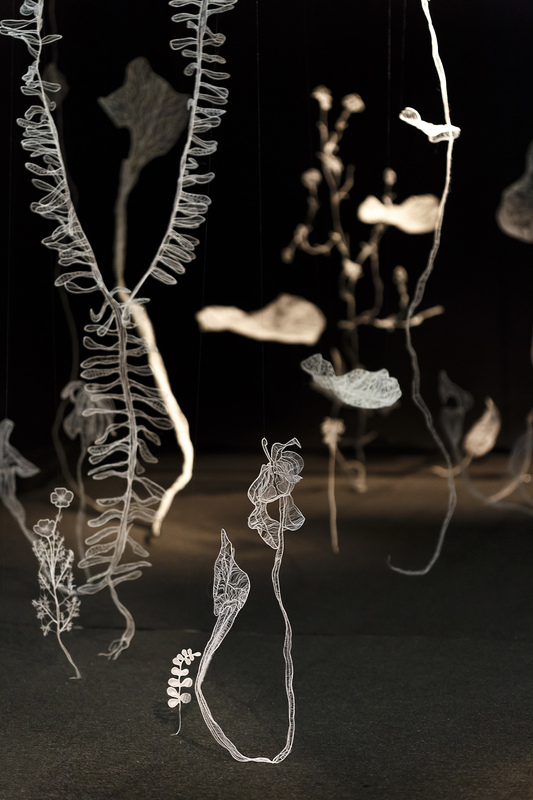 They are embroidered and unfastened, floating in the air, appearing and disappearing with a dreamlike quality. 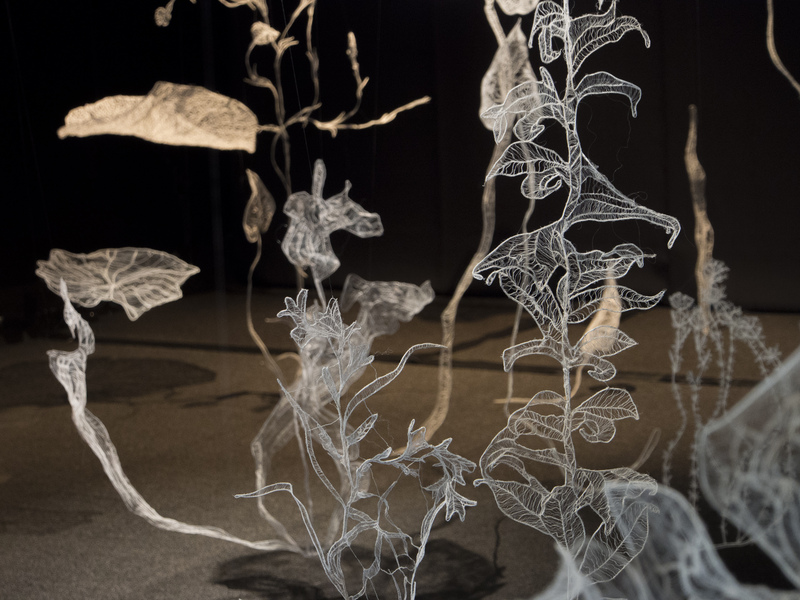 Singh directs us to slow down and observe the tiny details often unobserved by the eye, such as the uninvited wild grass peeking through floor tiles, refusing to surrender to the human desire to manicure and control nature. 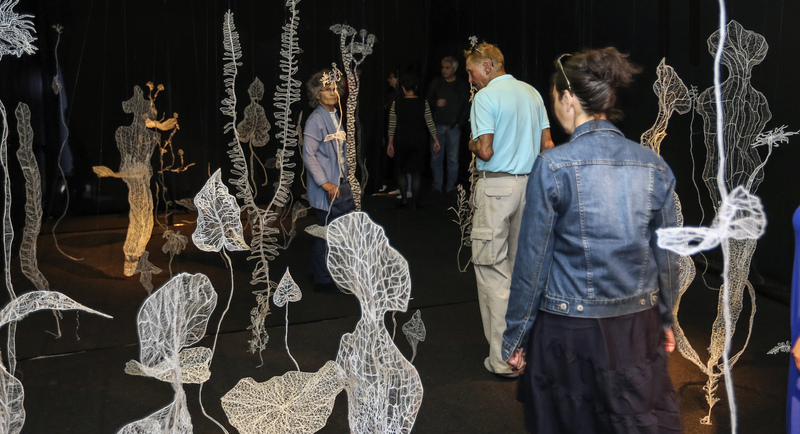 She mixes the personal and local, the images and their reflections, and undermines our common perceptions and fixed notions of bracketing reality, suggesting a more flexible view, where change is the most common element.